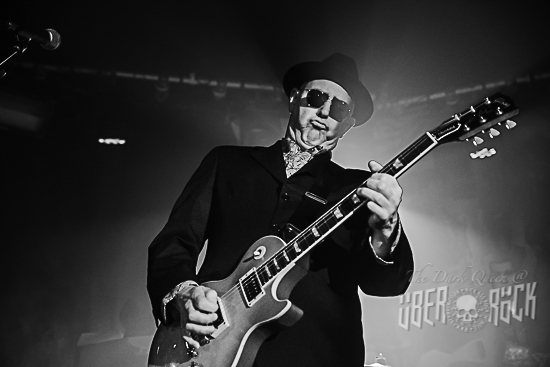 Monk first stumbled across Yorkshire stompers Psychobabylon when they appeared on the second stage on the middle of the Sunday afternoon at the 2017 iteration of the HRH Sleaze shebang in Steel City: he must admit to having been a bit confused by their image – “part ska, part classic rock, part horror punk” is how he described it at the time – but was impressed by their driving hard rock style. 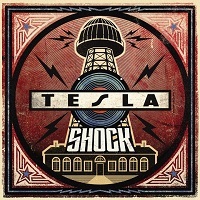 Almost exactly a year later, he was back, perched in front of the same stage, witnessing a band that had progressed significantly in the intervening 12 months: their sound was more cohesive and coherent… something which is even more obvious on this newly released four track EP. It had been a busy, and needless to say expensive, few days for Belfast’s punk veterans. First of all, The Stranglers were ‘Back On The Tracks’ by kicking off their latest tour in the city’s iconic Ulster Hall, and now The Ruts/Ruts DC were bringing their 40th anniversary tour to its conclusion just a few short yards away. In between, The Duellists had brought their own brand of ska crossover to the neighbouring venue… who said gigs aren’t like buses servicing that mysterious destination known as Not In Service? 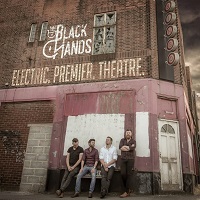 Almost a decade after they first formed, Chesterfield blues-rockers The Black Hands will release their debut album, ‘Electric Premier Theatre’, on Friday 17 May. 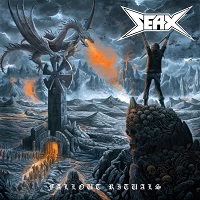 Massachusetts based four-piece Seax are back with their fourth album. 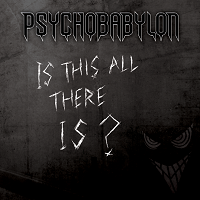 Formed in 2009 with the intent on bringing a classic metal sound to the masses, the band set about making their name through DIY hard graft and touring. Their debut release ‘High on Metal’ set the tone for the band and their following releases built upon the solid foundation work. 2019 sees the band honing their high-octane speed metal style further with ‘Fallout Rituals’. What can they offer up and will the album further cement their place in the metal halls?